Tonight I have Another Travel Tale. This one did not have as big of an impact for me as being In the Wrong Place after this weekend, however it did have a big impact on the East Bay this afternoon. My day started early with a phone call to the passport agency that our company uses. I needed to find out what I had to do to get a new passport. I was e-mailed forms to fill out and then had to get them to downtown San Francisco by 10:30. Luckily traffic into the office was not too bad and I was able to get everything filled out and was soon on my way to the Dublin/Pleasanton BART station. I almost did not leave in time as I arrived at the office in San Francisco with just a few minutes to spare. On the way to the office I had stopped to get photos for the passport application. I took this picture as I completed filling out the forms in the office. I am actually pleased with the pictures. 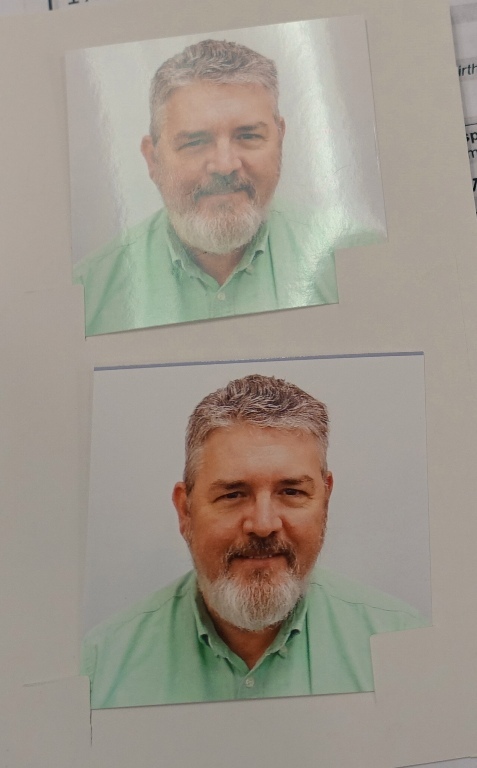 If they show up this well in the passport I will for once have a good picture on an ID 🙂 However, I just noticed that I have very tired looking eyes. This is understandable after the weekend I just had. Just across from where I dropped off my passport application is a very recognizable building. 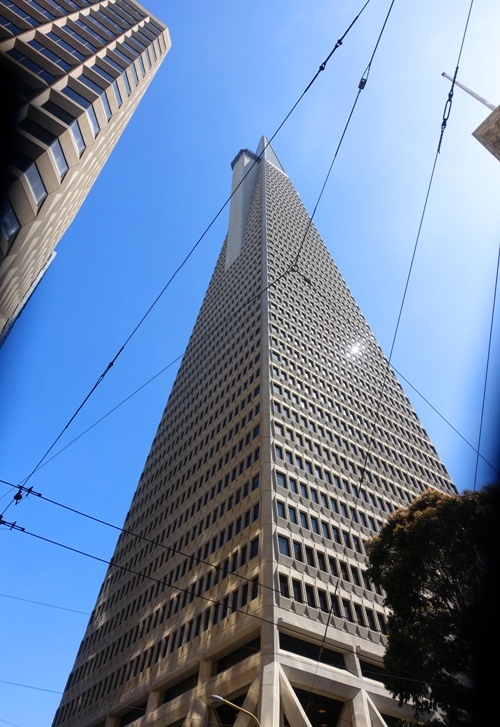 The Transamerica Pyramid was until last year the tallest building in San Francisco. The tallest building in San Francisco is now the Salesforce Tower. After dropping off my passport and forms I headed back to BART after making a short stop at the Wells Fargo History museum. That is when things got interesting. While traveling through the Transbay Tube an announcement was made that the train was being diverted to the MacArthur BART Station. I knew that was in the wrong direction from where I was going. I soon found out that there was a problem near the Lake Merritt Station that had closed down the line heading back to the office. 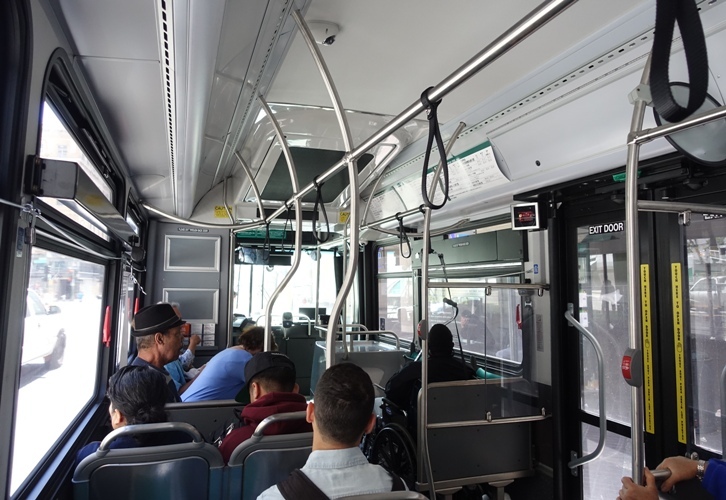 It looked like the line would be closed down for some time so BART called for mutual aid from AC Transit and I was soon on a bus heading through Oakland toward the Bay Fair station. While making our way slowly along the route I found out that the emergency was that a man had been struck by a train and killed at the Lake Merritt station. I think that the route was about 15 miles long and took over an hour to complete. It was an interesting trip especially watching the people get on and off the bus along the way. By the time that I got to the Bay Fair station the line was still not open. 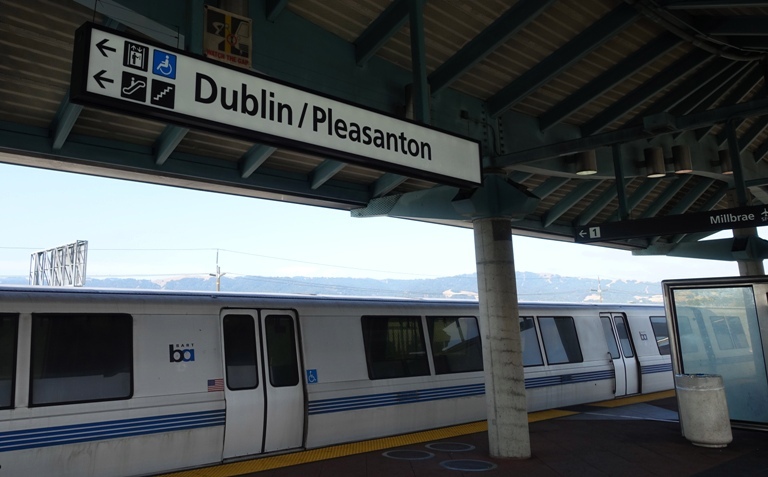 However the train was operating to Dublin/Pleasanton. Hopefully my travel woes are over for awhile and I can get back on track by the end of the week. This entry was posted in California, transportation, Travel and tagged AC Transit, BART, Bus Bridge, Medical emergency, Passport, Passport Picture, San Francisco, Travel Delay. Bookmark the permalink.